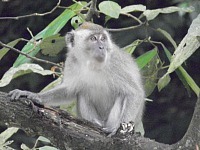 Malaysia is a green country and locals and visitors alike love Malaysian national parks. Over 60% of its total land area is forested. There are not many countries in the world that can beat that. It is true that Malaysia's forests are being lost at an average rate of around 100,000 hectares per year. At that rate of decline it would take 200 years for all Malaysia's forests to be gone. But there is no danger of that happening. 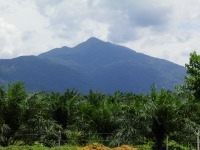 Currently 8% of Malaysia's total land area is classified as protected and a further 8% is set aside as forest reserves. Protected areas include national and state parks, wildlife sanctuaries, wildlife reserves and marine parks. Malaysia can boast of 25 terrestrial national and state parks (there are a further 40 marine parks) managed by the Department of Wildlife and National Parks. New areas of outstanding beauty are regularly being added to the list of protected areas, particularly peat swamps, mangrove forests and limestone habitats. Conservation areas range from the massive Taman Negara, a million plus acres of the world's oldest primary rainforest, to the semi-urban and man-made Taman Wetlands in Putrajaya. 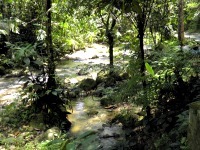 The biodiversity of Malaysia's forests is immense. 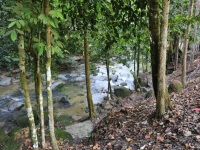 It is said that there are more species of trees in one hectare of Taman Negara than in the whole of North America. In addition to observing the profuse plant life you can, while on your jungle walks, look out for unusual birds, shy animals and exotic insects. Here is a list of some of the main Peninsular Malaysian national parks, forest reserves and urban parks (Sabah and Sarawak parks are shown on their respective pages) which I have visited so far. I will add a fresh page onto the website whenever I visit a new place. 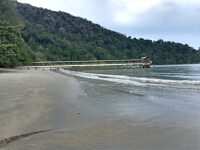 Click on the links below to read reviews of my visits to Malaysian national parks, rainforests and other conservation areas. You don't have to pay for an expensive package tour to explore Taman Negara, the top of Malaysian national parks. Learn from my independent trip here. 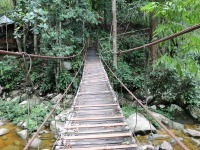 Penang National Park is the smallest of the Malaysian National Parks but one of the most scenic and the easiest to access. 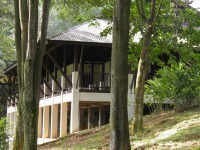 Ampang Forest Reserve is a small park in a scenic valley on the eastern fringes of KL. Temporarily closed following flood damage in March 2012. 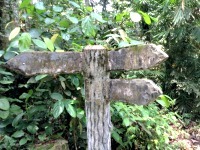 An enjoyable circular hike amid unspoilt rainforest awaits on the southern fringe of Kuala Lumpur. Details and photos here. This 291 m high hill is a great place for a short but energetic hike within KL city limits and you can enjoy great views of the KL skyline. 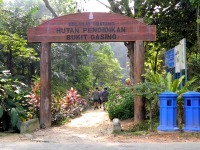 Enjoy nature and hiking at Bukit Gasing Forest Reserve in the suburbs of KL. No need to drive miles for a good jungle workout. Map and details here. 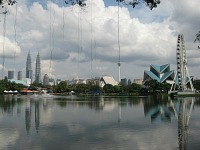 Bukit Jalil Park is a pleasant place to picnic, relax and exercise on the southern edge of Kuala Lumpur. Location map, opening hours and details here. 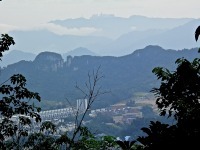 Bukit Kembara is a short but vigorous hike up a small peak and around a vintage reservoir, just on the outskirts of KL. 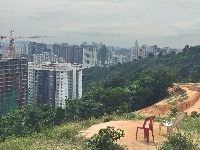 Bukit Putih, also known as Ah Pek Hill Trail, is a good place to hike in the jungle at Cheras, near Kuala Lumpur. See map, photos and details here. 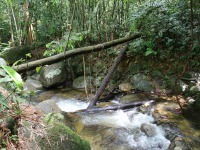 Bukit Sri Bintang is a short but enjoyable 90 minute hike next to Desa Park City. From the top you can see great views of the KL skyline. Access to Commonwealth Forest Park has been made difficult by road works but there is still a resort with activities and accommodation available there. Forest Research Institute Malaysia (FRIM). 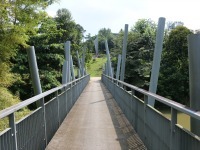 Experience a bird's eye view of a Malaysian rainforest with the FRIM Canopy Walk, close to Kuala Lumpur. Details, photos and directions here. 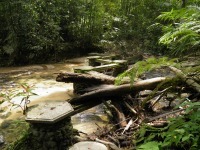 Gunung Stong State Park is one of Malaysia’s most unspoilt forest reserves. With rugged hiking, camping and spectacular waterfalls it is a must visit. 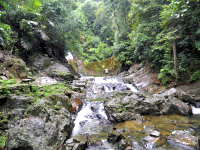 Ulu Licin is an unspoilt recreational forest park with clear water, clean air, picnic spots and waterfalls just 5 km from the Perak town of Beruas. Jeram Kedah Waterfall is a small and less well known waterfall in a peaceful and quiet corner of Negeri Sembilan’s extensive forest reserve. Jeram Tengkek Waterfall in Negeri Sembilan is a nice place to picnic, swim and camp amid pristine rain forest said to once have been home to a goblin village. 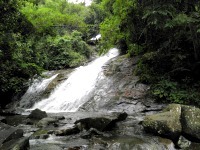 At Kanching you can swim in clean waterfall pools or picnic and walk in a lush rainforest setting. 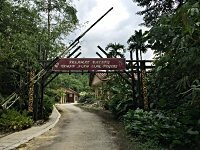 In the remote Jelebu District of Negeri Sembilan is an unspoilt rainforest with waterfalls, jungle trails, mountain climbing, bird watching and other outdoor activities to enjoy. 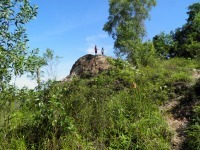 Ketumbar Hill is a small hill in Cheras, KL. 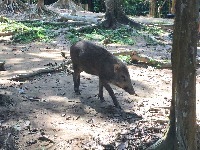 It is a relatively easy 1 hour circular hike with breezes, good views and some fairly tame wild boars. 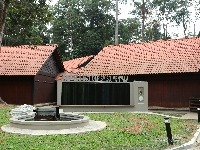 Kota Damansara Community Forest Reserve. 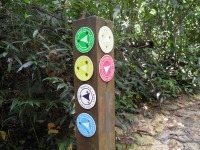 Kota Damansara Community Forest Reserve is a good place for hiking and mountain biking on the outskirts of Kuala Lumpur. There are 11 km of trails to explore. 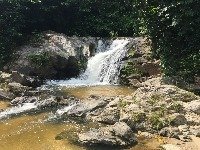 A popular waterfall resort in Johor, easily accessible from JB, with natural pools, slides, picnic spots and walkways alongside an impressive waterfall. 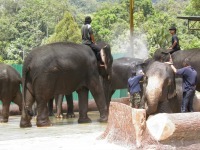 At Kuala Gandah you can hand feed elephants, enjoy a bare back elephant ride and give them a scrub-down in the river. 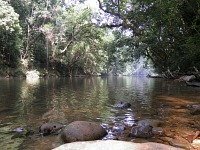 Kuala Woh Recreational Forest is a good place for a riverside picnic on the way to the Cameron Highlands. 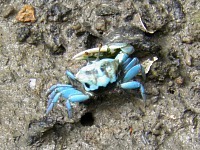 Kuala Selangor Nature Park is made up of mangrove forest, mud flats and secondary forest habitats and is a sanctuary for many bird and animal species. 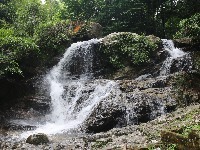 Lata Jarum is a pleasant waterfall in attractive countryside. See videos of boys jumping into the cascade pool. 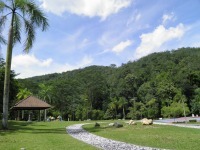 Lenggeng Recreational Forest is a small nature park set in the unspoilt countryside of Negeri Sembilan. It has a nice waterfall but the facilities need refurbishment. It would take days to see everything at Malaysia Agriculture Park, a huge park with paintball, extreme challenges, spice gardens, arboretum, animal park and much more. 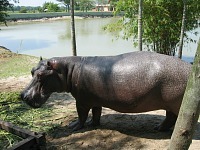 Paya Indah near Putrajaya is a man-made wetlands area with crocodiles and hippos among its star attractions. Fishing, kayaking and bird watching are possible here and accommodation is available. 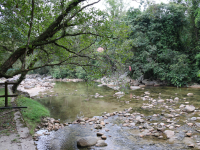 Sungai Congkak is a pleasant place to picnic and bathe in natural pools amid unspoilt forest. Chalet prices and details here. 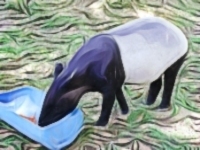 Sungai Dusun Wildlife Conservation Centre was once the preserve of rhinos but is now home to tapirs. You need a permit to visit. At Sungai Gabai Waterfall you can cool off in the chilly cascades and enjoy natural surroundings and fresh air only a short drive from Kuala Lumpur. 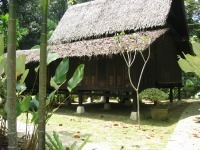 Sungai Menyala Edu Ecotourism Centre is a forest reserve with some virgin rainforest, some of the tallest trees in Malaysia, a museum and excellent accommodation faciliites. This forest park has an impressive waterfall but unfortunately it is closed until further notice due to fatal accidents. 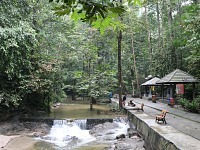 Sungai Tekala is a popular place near KL to enjoy bathing in a clear, cool river with cascades among pristine rain forest. See my video and details here. 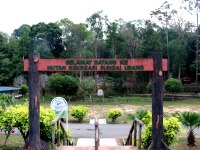 Sungai Tua Recreational Forest is a good place to camp, picnic and bathe in natural pools amid mature forest. Video, location and details here. A 335 acre permanent forest reserve of mainly lowland dipterocarp trees with a rich variety of flora and fauna. Within easy distance of the city of Melaka. 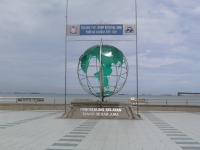 Standing at Tanjung Piai you can claim to be the southern most person in the whole of mainland Eurasia. 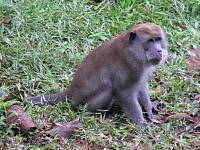 Read my review of this southernmost of Malaysian national parks. 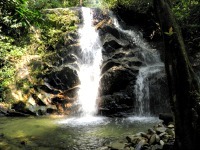 Take this hike to the waterfall at Templer Park for a true jungle experience within easy reach of Kuala Lumpur. See location map, video, photos and details here. 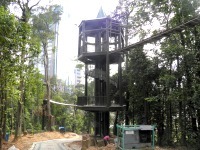 The only remaining tropical rainforest within Kuala Lumpur city limits, this park now boasts an impressive new canopy walk. A walk or bike ride around Putrajaya's Taman Wetlands makes a pleasant day out. 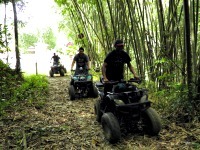 Learn how this eco-tourism destination acts as the kidneys of Putrajaya. 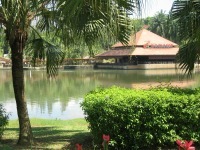 Taman Wawasan is a beautifully landscaped park next to the lake in the heart of Putrajaya. It is a great place to walk, jog, cycle or just relax. Taman Warisan is a great park to see a wide variety of tropical fruit trees, herbs and spices, rubber and other commercial crops. You can get a good meal here too! I never get tired of visiting Putrajaya Botanical Gardens, my favourite park in Putrajaya. 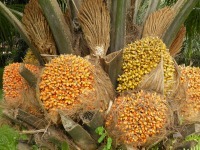 If you like tropical plants and trees you will love it too. 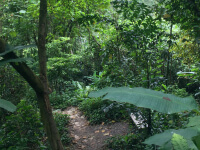 Visit Taman Tugu Forest Trail for an invigorating and educational family hike amid lush jungle vegetation in the heart of Kuala Lumpur. 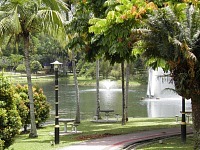 Lembah Kiara Park and the adjacent trails are a pleasant place to play, bike and exercise in the heart of the city. 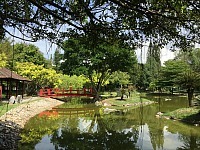 Sentul Park is home to KL Performing Arts Centre, a pair of good restaurants and a koi centre. It is worth a visit. Taman Dusun Bandar, which translates as urban orchard park, is a well landscaped park with a wide variety of fruit trees in the heart of KL. 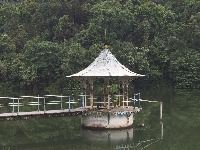 Taman Tasik Permaisuri is an urban recreational park in Kuala Lumpur. Read about the facilities, location and opening hours here. 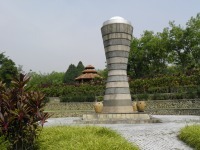 Titiwangsa Lake Gardens is an attractive and well maintained park in Kuala Lumpur and a popular place to take photos of the Twin Towers and KL Tower. D.R. 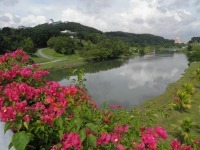 Seenivasagam Recreational Park, with its scenic Japanese Garden, and Kinta Riverfront Walk are relaxing places to get some fresh air and exercise. Here is a list of Malaysian National Parks, forest reserves and conservation areas which I still have to visit, arranged state by state. And here is an interactive map of Malaysian National Parks I compiled showing all the locations of the parks mentioned on this page. As you can see, wherever you are in Peninsular Malaysia, you are never far from Malaysian National Parks or a State Park or Forest Reserve. More Malaysian National Parks, recreational forests and forest reserves will be reviewed and added to this list shortly.